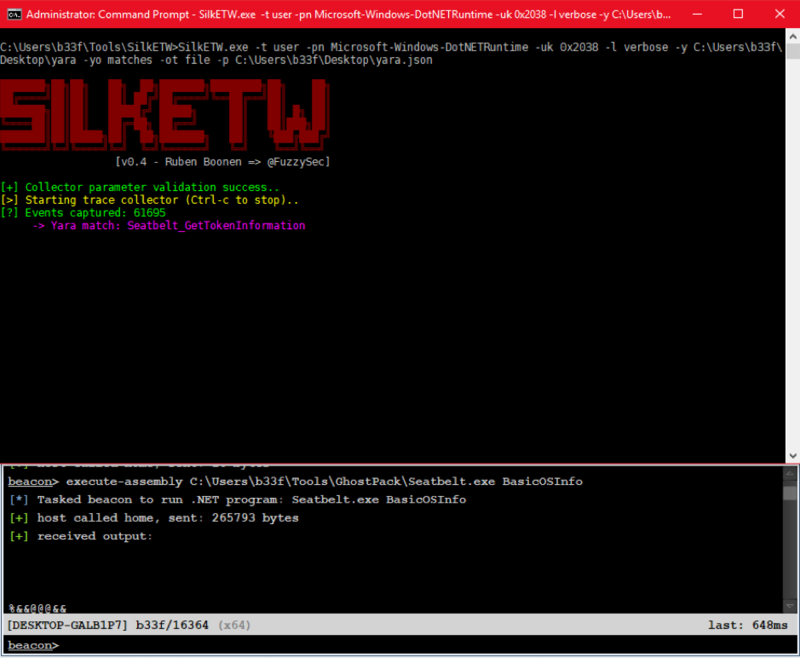 [FireEye]SilkETW: Because Free Telemetry is...Free! properties we are interested in (Figure 2). reminded that Yara rules are equally useful to augment research capabilities. 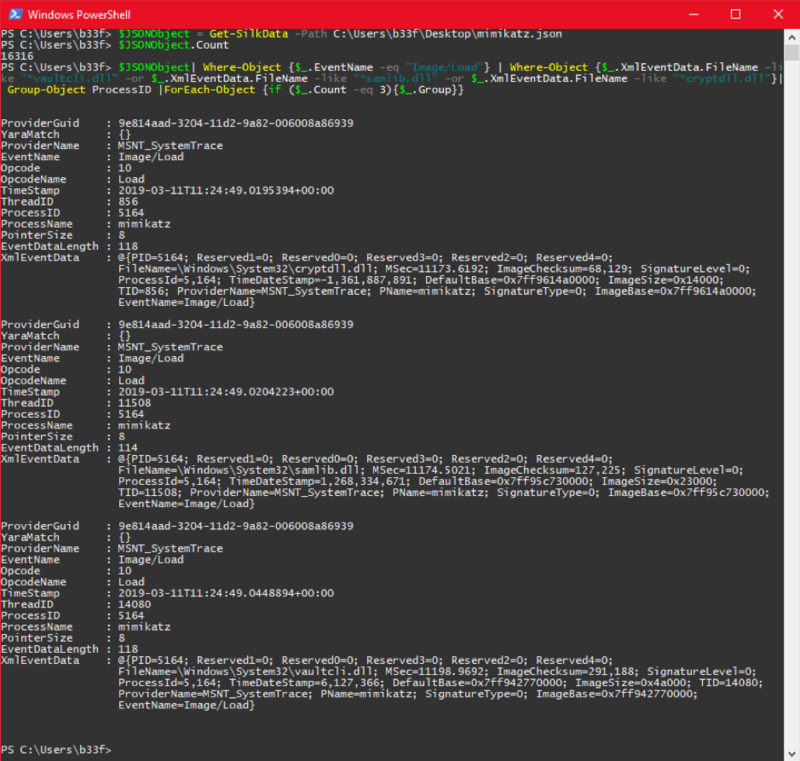 execution in memory through Cobalt Strike's execute-assembly. We can see at runtime that our Yara rule was hit (Figure 3). specifically: JitKeyword, InteropKeyword, LoaderKeyword and NGenKeyword. focused data-collection tool with robust yet rudimentary capabilities. write trace data to disk as *.etl files. and reads a configuration file. programmatically, definitely check out that project. Source: SilkETW: Because Free Telemetry is...Free!